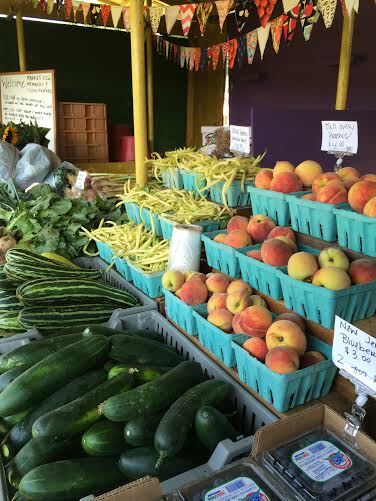 Robson's Farm: The Purple Farmstand is Open! The Purple Farmstand is Open! Our farm stand is open! This has been a dream of mine to have a store like my parents did. So come visit the purple wagon on Rahilly Road. If the stand is not purple than you're in the wrong place! Each week we'll have more and more items as the season gets rolling including our awesome peaches, heirloom tomatoes, peppers, greens, husk cherries and more!